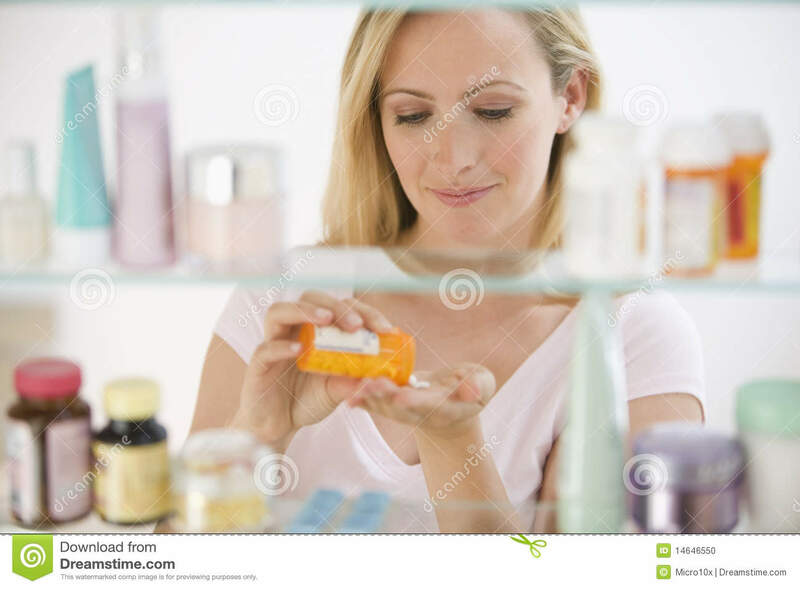 (RxWiki News) What's in your medicine cabinet? Did your items make our top eight? Here are eight products to consider stocking in your medicine cabinet to keep yourself and your family healthy. If you have pain or a fever, having acetaminophen (Tylenol) or ibuprofen (Motrin, Advil) in your medicine cabinet is important. When taking these medications, do not exceed the recommended daily amounts. Taking more than recommended can be harmful. These types of medications may not be safe for some people. Be sure to speak with your health care provider about which pain and fever reducer is the safest for you. Whether you have an allergic reaction to a certain food or an insect sting or bite, having Benadryl (diphenhydramine) can make all the difference. Benadryl can cause drowsiness. Do not drive or operate heavy machinery until you know how this medication affects you. Whether you've got a scratch, cut or burn, having a topical antibiotic in your medicine cabinet is useful. A topical antibiotic like Neosporin or Polysporin can help prevent infections in minor cuts, scrapes and burns. However, these products are not for deep or puncture wounds, animal bites or serious burns. From allergy season to cold and flu season, saline nasal spray is a great go-to to keep in your medicine cabinet. If your nasal passages become dry and irritated, saline nasal spray can provide relief. Saline nasal spray is not medicated and can be used in people of all ages. You may have skin irritation and rashes from eczema, insect bites, poison ivy, poison oak, soaps or detergents, but the hydrocortisone in your cabinet can make you feel better in no time. Hydrocortisone is available in a variety of formulations, such as ointment, cream, lotion, liquid and gel. Having an antihistamine, such as Claritin, Zyrtec or Allegra, on hand is important — whether you have year-round allergies or just seasonal sniffles. Antihistamines treat allergy symptoms like runny nose, sneezing, and itchy and runny eyes. Some antihistamines may cause drowsiness. Do not drive or operate heavy machinery until you know how this medication affects you. You're probably going to have diarrhea at one point or another. That's the time when you may need an antidiarrheal, such as Imodium (loperamide) or bismuth subsalicylate (sold as Kaopectate or Pepto-Bismol). However, there are some situations in which these medications may not be the right or safe choice. In addition, these medications are not recommended in certain age groups, such as young children. Ask your health care provider before you take any new medication. Medications like Maalox or Mylanta can help treat a variety of stomach issues. These medications typically include several medicines that can help treat upset stomach, heartburn and bloating associated with gas. Follow the directions on the package, and do not exceed the recommended daily amount. In addition to the above medications, it's always handy to have a thermometer on hand. And don't forget the bandages, cotton balls and gauze. Always keep all medications out of children's reach. Store your medicine in a cabinet with child latch or lock. Be sure to always read the package label before taking any medication. And follow the directions on the label carefully. Ask your doctor or pharmacist to explain any part of the instructions that you do not understand. Always use the medication exactly as directed. Ask your pharmacist any questions you have about your medications. And visit your local pharmacy for help with your health care needs.